I came up with this crazy idea while I was taking photos of my fresh squeezed lemonade. I used normal ice and it was melting and diluting the drink so, LEMONADE ICE CUBES. 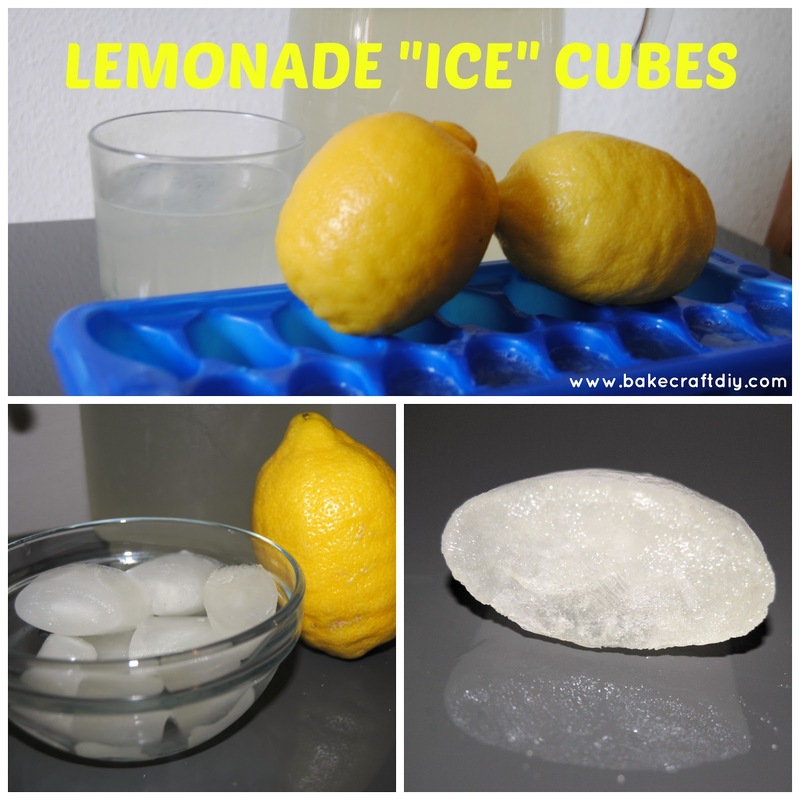 Just use the recipe for my fresh squeezed lemonade and pour it into an ice cube maker and freeze for as many hours as you can handle waiting before wanting a glass of lemonade! Juice your lemons - I do this by rolling the lemons then cutting them and squeezing out the juice (to get the most juice use a fork or a citrus juicer. Add your water and juice together in a pitcher then add sugar. Stir. 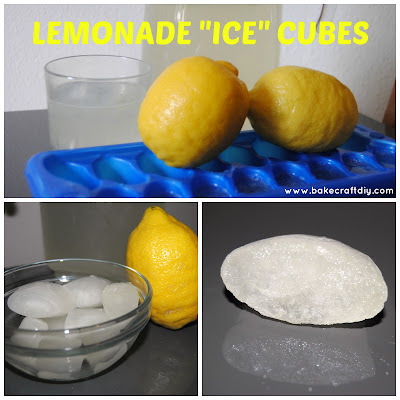 Add some lemonade "ice" cubes to your cup, pour your lemonade, and enjoy!